Libraries have proven to be great spaces to host Dojos. As highlighted in our CoderDojo in the Library handbook, they are perfect for bringing young people together to learn about technology. Ivan Silva, works in his community’s local Belvedere Tiburon Library. He decided to start a Dojo there back in 2013 and hasn’t looked back since. Here he shares his experience. I have been involved with CoderDojo since 2013. I first heard about the clubs when a member of the Sudo Room hackerspace in Oakland mentioned his visit to clubs in Ireland. Right away, I thought it was a great idea and that I could quickly start a Dojo in the library where I work. The library seemed like a perfect fit for this type of program. We offer access to resources, laptops, WiFi, meeting spaces — basically, everything I needed to get started. 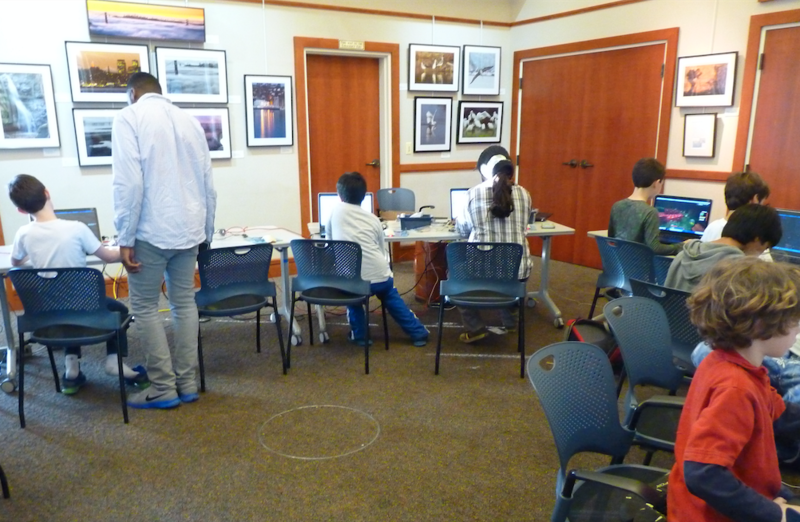 When had I started working at the Tiburon Library, I had met a few children who came in regularly to check out books on how to code. These kids had expressed their interest in STEM-related programs. I approached this core group to tell them about my idea of a CoderDojo after-school club at the library. They loved the idea and told their parents, their friends, and their families. Soon we had a solid group of participants and supporters. 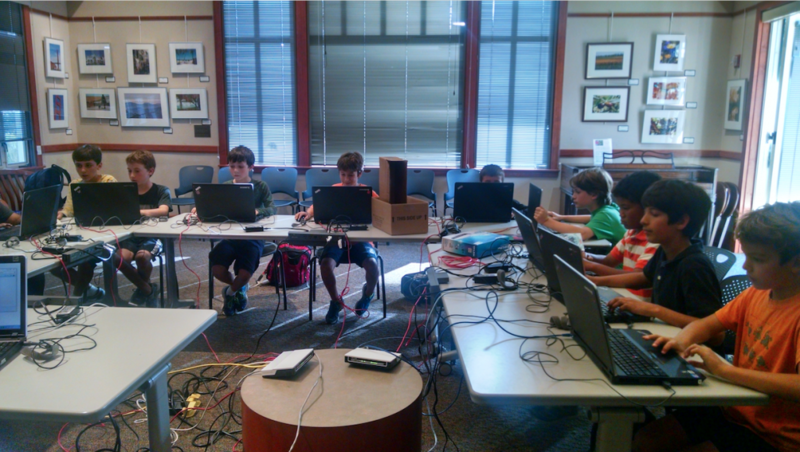 Our CoderDojo has always met on Fridays at 4–6pm. This is partly due to the time kids have available, and due to the availability of library space. We have tried many different ways to structure the time and activities during the sessions, and we found that what works is an open format, where kids can explore, learn, and more importantly, have fun. We have a core group of eight to ten kids that are here every Friday. They usually tell their friends and family, who sometimes drop in, but they don’t necessarily return. Many people who want to enroll, but we are not a good fit because of distance — ours is the only Dojo in the San Francisco Bay Area — or because of our format: we are not a coding class. I have been running the club alone for all these years. Many people have reached out to me and helped out for certain periods of time. However, recruiting long-term volunteers has been the biggest challenge. Tiburon’s remote location is an obstacle, but managing boisterous pre-teens is also something that many people do not feel confident to do. Most of our Dojo’s participants started coding with Scratch. They have since progressed to more difficult programming languages. One thing that I enjoy with every coding language and with every project is the debugging process. I love puzzles. I love a good challenge and figuring out how something works or why it’s not working. We’ve had some great moments at our Dojo that I cherish very much. Participating in a local hackathon and bringing projects to the Coolest Projects showcase are great ways to meet other young coders. We also have hosted many visitors. We are always happy to show what we are working on or the latest toys we’ve got our hands on! 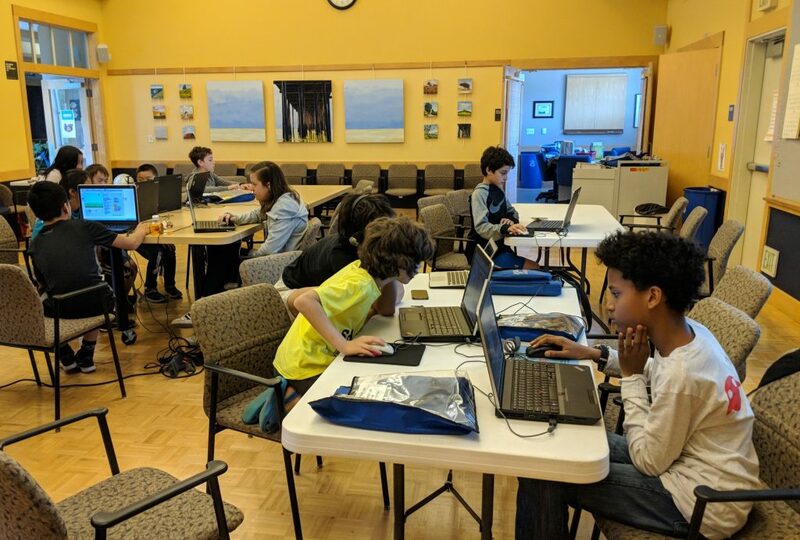 The library is happy to offer a space for kids with interest in computer science to meet up free of cost. We have been featured in our small local newspaper multiple times. Our local leaders often refer to how great it is to have the program available in our community. We have also seen some of our older Dojo members enroll in Computer Science programs at our local universities, and we would love to continue this pipeline of talent. 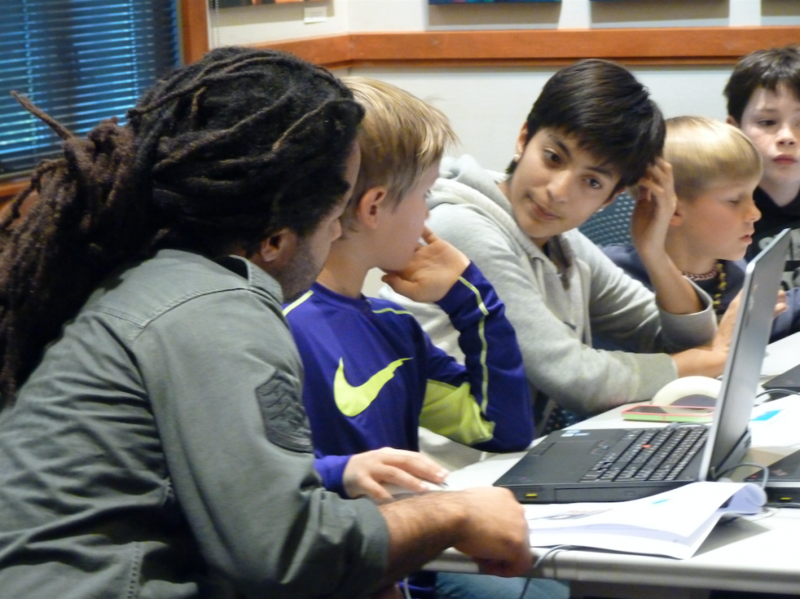 CoderDojo is a space for creativity and learning. I would suggest that anyone with interest in exploring creative coding to start a club. Reach out to your local library and help bring this important educational opportunity for every community! Thank you, Ivan, for all of the important work that you do—not only providing a forum for coding, but also for creating a community that offers friendship, mentorship, support and fun that has been such an important part of our kids’ lives.